For the next week or so I plan to show off some of my favorite photos from my Grandma’s collection. I hope you enjoy them as much as I do! 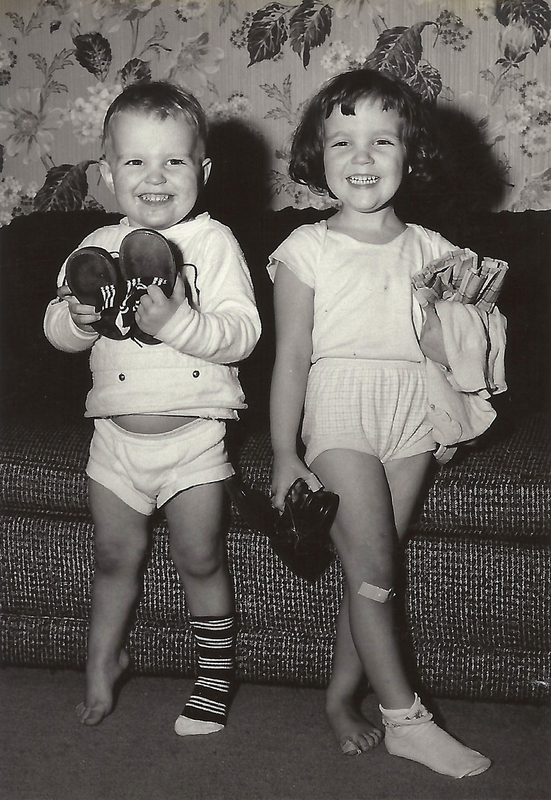 This photo of my aunt & uncle is so adorable I just want to reach into the picture and give them each a big squeeze!! Adorable! It cracks me up that they both have only one sock on! Me too! That is definitely one of my favorite parts. Yes! They are such a treasure. Very infectious grins – they look so happy. I completely agree on both points!